Now in trade paperback, A Homemade Lifeis a memoir composed of recipes and stories from acclaimed blogger, Molly Wizenberg. Molly's fresh and modern recipes--sometimes decedent, sometimes healthful-- appeal to the growing number of people tired of the processed foods who have become passionate about the art of cooking and the joy of eating meals lovingly prepared with the best ingredients. But the book's appeal comes as much from the recipes as its truly remarkable writing. Wizenberg's food descriptions are luscious: Double Chocolate Cupcakes with Ricotta, Bourbon, and Orange Zest will always sound enticing, but when Molly describes how "the soft dairy richness of the fresh cheese gains depth from dark chocolate, and the chocolate's sincere, not-too-sweetness borrows intrigue from the boozy ricotta" you can't help but head straight to the kitchen to make them yourself. And unlike some excellent food-bloggers, Molly writes elegant but accessible prose that goes beyond the gustatory to access emotion. Her writing is poignant without feeling cloying or obvious, and her novelist's sense for pacing keeps you turning pages. This reading group guide for A Homemade Life includes an introduction, discussion questions, ideas for enhancing your book club, and a Q&A with author Molly Wizenberg. The suggested questions are intended to help your reading group find new and interesting angles and topics for your discussion. We hope that these ideas will enrich your conversation and increase your enjoyment of the book. 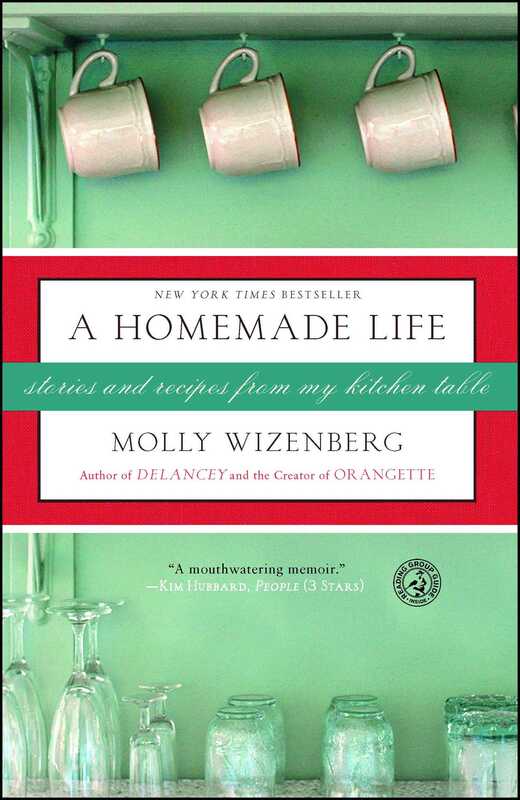 A Homemade Life by Molly Wizenberg, freelance food writer and creator of the award-winning blog Orangette, is part touching personal memoir, part wonderful recipe collection. Molly recounts a life with food at its heart, where delicious recipes intertwine with the stories of her family, growing up, beginning a blog, even meeting and marrying her husband. Written in a lively, accessible style, A Homemade Life is as much at home on the bookshelf as it is in the kitchen. 1. In her introduction, Molly describes her love for the intangible things about cooking. She explains, “When we fall in love with a certain dish, I think that’s what we’re often responding to: that something else behind the fork or the spoon, the familiar story that food tells” (p. 2). Are there any dishes that you associate with a particular story, person, time, or place? Describe those dishes and the intangible meaning they have for you. 2. Molly’s father Burg was an important presence in her life. She describes him as “a real character, a very kind person, and even sort of a sap, but he could also be very difficult. He was not some mythic figure sent from on high” (p. 183). What do you think were Burg’s strengths and weaknesses? 3. “When I was little, I thought my mother came from the most perfect family.” (p. 51). Later in the book Molly explains that she was closer to her mother than her father, but she spends more of A Homemade Life describing Burg and his outsized personality. Why do you think this is? 4. Based on her description of her parents, what traits do you think Molly inherited from each of them? How do you think those traits affect her life? 5. People often associate food with celebrations and holidays. In the chapter “Italian Grotto Eggs” (p. 135), however, Molly describes a dish she made for Burg as he was dying of cancer. How did the egg dish provide relief for Burg? How did it provide relief for Molly? Do you associate any recipes with a sad or tragic memory? 6. Molly describes meeting her future husband online in the chapter “Baby Steps” (p. 195). Does making a romantic connection online hold any connotations for you? If a friend told you she was going to meet someone who emailed her blog, what would you think? 7. In the chapter “Summer of Change,” Molly admits, “Whenever I don’t know what to do, Paris is where I’ve gone” (p. 162), and she has spent a significant amount of time there. What does Paris mean to Molly? What does it provide her? 8. What does the concept “whatever you love, you are” (p. 153) mean to Molly? How did she use it to better understand her father? 9. 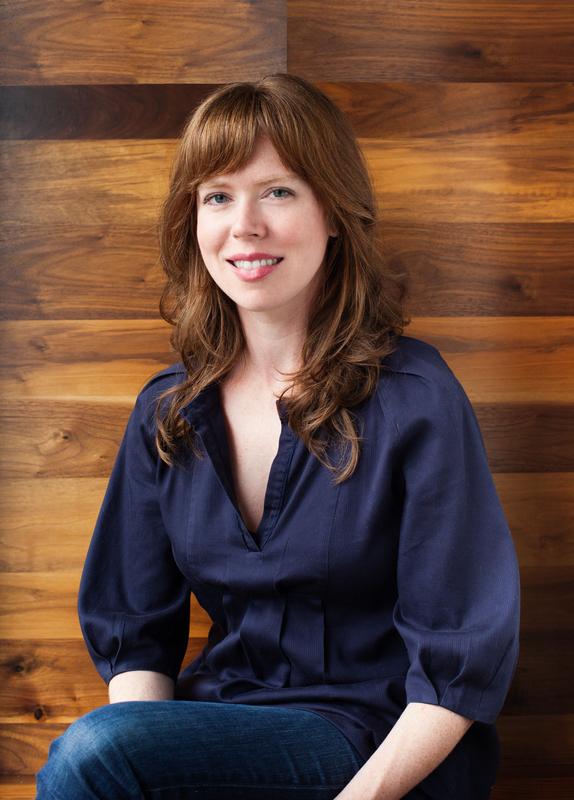 Throughout the book, Molly mentions that she has difficulty embracing change, that she likes the concept of routines—almost to the point of being boring. What are the aspects, both positive and negative, of this character trait? 10. Molly defines happiness as “a pan of slow-roasted tomatoes” (p. 189). Can something specific and tangible define happiness? If so, what defines happiness for you? 11. When her father was near death, Molly states, “I know it’s awful to say it, but I was so relieved that morning, when I saw the splotches. I didn’t want to stop him. I was terrified of stopping him. I pulled my hand away from his face. I stood up, ran my fingers down his forearm to smooth the hair, and stepped back. Then I left the room, and I don’t remember what I did” (p. 144). The sentences leading up to the last are descriptively vivid. Why do you think Molly doesn’t remember after that point? 12. In the chapter “The Hardball Stage” (p. 72), Molly shares the story she wrote as a teenager about, as she puts it, “how one wordy teenager found her way into the kitchen.” What does the essay reveal about her relationship to her family? about her relationship to food? Optional exercise: Write a personal food-related story to share with the group. 13. What do you think A Homemade Life means to Molly? What does it mean to you? Check out Molly’s award-winning blog: www.Orangette.blogspot.com. Using Molly’s blog photos as inspiration, have your book club members take photos of some of their favorite foods. Bring them to the book club discussion to display. For your book club discussion, bring a box of orangettes. They can be ordered from online retailers like www.ChocolatDuMonde.com or make them yourself (www.About.com offers a recipe). Or select one of the recipes in the book to make and share at the meeting. Make your own cookbook. Each member of the group can contribute a favorite recipe (or recipes) and brief stories that explain them. Use photos if you have them—and be sure to include a photo of the members of the group! Organize all the materials in a booklet and share copies with the group. Q. Can you tell us a bit about your life since publishing A Homemade Life? Have there been any special projects, meals, or recipes? Does Seattle still feel like home for both you and Brandon? A. It’s been busy around here, to say the least! In August of 2009, Brandon and I opened a restaurant. It’s called Delancey, and it’s in the Ballard neighborhood of Seattle. It’s a Brooklyn-style wood-fired pizzeria, inspired by all the great pies that Brandon grew up eating in New York and New Jersey. A restaurant is probably the last thing that anyone expected of us, given that Brandon is a musician by training, and that I’ve written quite a bit about how much I dislike (!) working in a restaurant kitchen, but what can you do? He makes a killer pizza. I’m so proud of him. Q. Do you still enjoy writing your blog, Orangette? Has it changed since you began it in 2004? A. I love writing for the blog. Probably more than ever, actually. The blog is where I can be the most spontaneous in my writing, where I can really play. It’s also an incredible community. I’m continually blown away by the conversations that crop up in comments, by the people that I’ve met, by the way it has completely reshaped my life over the past six years. It sounds cheesy, but I mean every word. Q. At your book events or through your blog, do readers ever share their own food stories with you? Does one of these stand out in particular? A. Absolutely. Talking with readers and hearing their stories has been my favorite part of book events. When I write, I feel as though I’m having a conversation with my readers—only, the thing is, I never actually get to see their faces or hear their voices. Book events give me that chance, and I’m so grateful for it. The fact that food gives us a common ground to meet on, that it gives us something to share—that’s what it’s all about. Now I’m really sounding cheesy. Q. Does Paris continue to be a special place for you? Have you been back since the publication of your book? A. Paris will always be a special place for me. I haven’t been back since the book came out—this year was so busy!—but Brandon and I are hoping to steal away for a trip sometime in 2010. I miss it. Q. List three items that are in your refrigerator right now, and what significance they have for you. A. Peanut butter—it’s not glamorous, but I could eat it every day. I’m pretty sure my body is at least 75 percent peanut butter. Maple syrup—this particular jug of syrup was given to me by one of my readers. It came from her trees in upstate New York, and it’s fantastic. I don’t think there could possibly be a better present than maple syrup from your very own trees. Apples from the farmers’ market—one of the best parts of living in Washington! There’s one stand in particular that has lots of heirloom apples, and they have the best names. Right now, I’ve got a couple of Black Twigs, one Gold Rush, and a couple of Waltanas. Q. In A Homemade Life you write about both of your parents, but there seem to be more stories about your father and his outsized personality. Is there a reason for this? A. I needed to write about my father. There were so many details and moments and stories that made up who he was to me, and I didn’t want to forget. I needed to write about him to assure myself that I would remember. But I also needed to write about him so that I could start to let go of some of the harder moments of his illness and his death. In putting them down on paper, I got to take them out of my head and store them somewhere else. I didn’t know it until I was deep into the book, but I still had a lot of grieving to do, and writing helped me to do it. Q. Has your relationship with your mother changed in the years since the death of your father? A. We were always close, and we still are. But we’ve become more intentional about spending time together. It’s not easy, since we live far apart, but every year, the two of us go away together, just for a few days, and do lots of eating and drinking and catching up. Q. From potato salad to Christmas cookies to Hoosier Pie, in the book you describe many recipes that are traditions in your family. Have you and Brandon created any new traditional recipes? A. We ’re still pretty fixated on Hoosier Pie, to tell you the truth! Old traditions die hard—or however the saying goes. But we’re making new ones, too. Slowly but surely I’ve taken to making the same chocolate layer cake for our birthdays every year, and I get irrationally excited about it. I’m still working on the frosting, though. Maybe this will be my lucky year. Q. What is your opinion of the slow food movement in this country? Do you believe it is on the rise? How do you think the current economy has or will affect it? A. Anything that encourages people to eat more real food and less processed food, to find pleasure in cooking and sharing food, is a great thing. Q. What are you working on now? Do you have plans to write another book? A. Well, I’m into my third year of writing a monthly column for Bon Appétit and my sixth year at Orangette, both of which keep me busy! I’m also the de facto manager / wineglass polisher / baseboard scrubber / errand runner / CFO of Delancey, and that keeps me even busier. (Or crazier, depending on your point of view.) But I do want to write another book, and getting a start on that is my goal for 2010. Fingers crossed.